This is probably one of the ‘freshest’ posts I’m publishing – i.e. about something that occurred very recently. In fact, only days ago! *pats self on the back*Here’s something I wore over the weekend. I was somewhat missing Portuguese food (post-holiday blues) and so went to look for some in South London (Stockwell/Vauxhall). I’ve had pretty much THE best summer I’ve ever experienced in London and I’m sad that I haven’t documented any of it on my blog.. but I guess it was because I was too preoccupied with having fun and living in the moment (what I do best!). I spent SO much time in the sunshine that I sported the very rare and very surprising ‘London tan’. It was only last week when I returned from Portugal that suddenly.. it was.. not summer anymore. It was cold! I couldn’t go out in my bikini anymore, when I practically lived in them the last three months. If you saw me wearing this dress in real life, you would need to wear your sunnies. It’s SUPER BRIGHT (perfect). 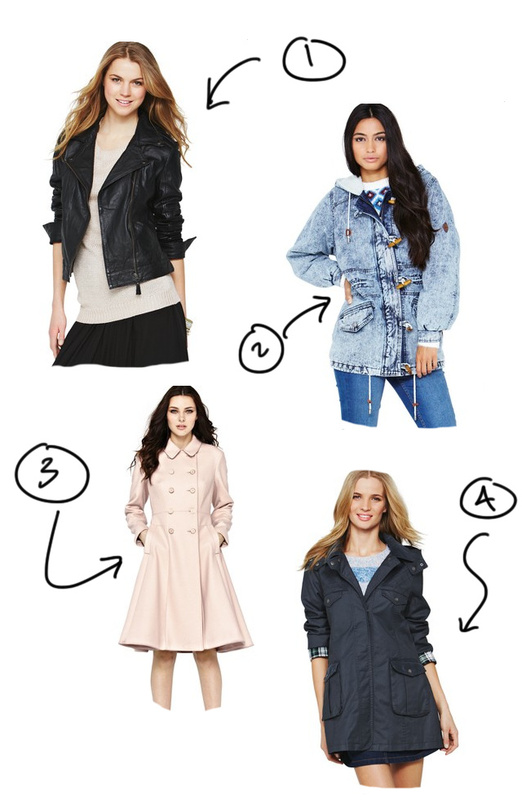 Quite essential items really – a leather jacket, wool coat, parka.. You need them all to survive! These were all selected from the Littlewoods range of winter coats. The great thing about Littlewoods is that you have the option of paying for your clothes in monthly instalments. Not unlike buying a car or a house. Hmm.. I can’t decide if that’s a good or bad thing.. but I guess having the OPTION is pretty handy..